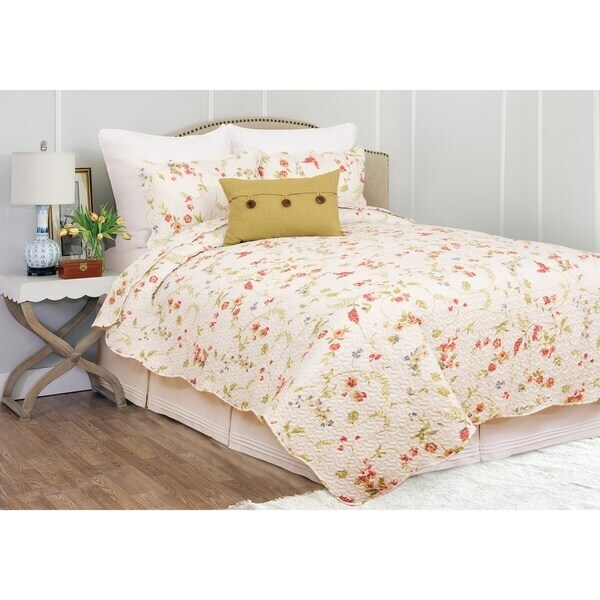 Fresh and floral, the Patricia quilt set brings an airy look to your bedroom. In a color palette comprised of spring blush, sage green and soft white, this floral design will remind you of warm weather and new beginnings year-round. Patricia is fully reversible to the same pattern, finished with a scalloped edge and vermicelli stitching. Crafted of soft microfiber and machine washable for easy care. Dimensions 86.0 In. X 66.0 In. X 0.5 In.